The trick to making a glowing staff is to make sure it glows bright enough and that it's not too delicate. 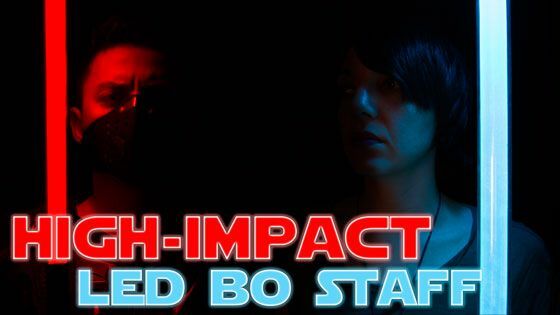 That's what we've developed with the High-Impact LED Bo Staff. This glow staff has three color options (red, white, and blue), is virtually indestructible, and will give you hours and hours of light. Let us know in the comment section below which color you like best. Be sure to follow us on your favorite social media networks. You can even like and subscribe to our YouTube channel to see us post fun new videos. If you haven't already, subscribe to our mailing list to get all kinds of deals and specials. Hi guy's Can you really use these in a real life or death battle? Yes, Tommy. This is a real weapon that can do real damage. Hi Chris. Those are some ideas that our invention ninjas have been working on. You can see the price on the product page here.